Our sponsor the Co-op encourage their colleagues to take time out of work to volunteer in the community. Some of our Co-op colleagues decided to use that time working with our pupils teaching them maths. But not any kind of maths, MASSIVE maths! 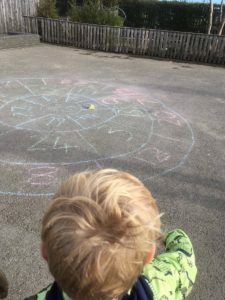 They spent the day working with pupils taking maths out of the classroom and onto the playground, using interactive games and activities to encourages our children to think outside of the box. It was a really fun day, thank you very much to all the Co-op colleagues who came and spent the day in our Academy.